Spread pizza sauce evenly onto the pizza shell, leaving about an inch of space around the edge. Sprinkle the mozzarella and cheddar cheese blend on top. 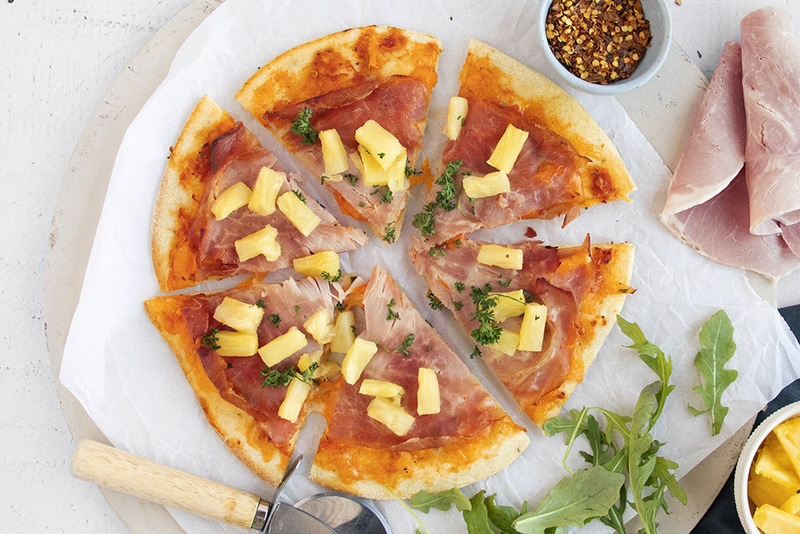 Arrange the Modena ham and pineapple evenly on top of the cheese. Place pizza on a baking sheet and bake for 6 to 8 minutes until golden and crisp around the edges.